Soft lighting set just right, eccentric yellow leather seats at the bar, wooden farmhouse table the centerpiece of the room, saucers and table settings different enough from one another to impart the character of home… another warm summer's evening in Arlington, Virginia sets on the patio at SER, the splendid Spanish restaurant on Glebe Road between Washington Boulevard and Fairfax Drive in the Ballston neighborhood. You raise a glass of sangria to your lips -- it is some of the best you will find this side of the Atlantic Ocean -- and smile. Simple. Easy. Real. This is the vision in which owner Javier Candon, a native of the region around Seville, Spain, has crafted one of the best restaurants in Arlington over the past couple of years. He's created something really special here. In Spain, I've found many restaurants where the staff seem truly invested in their craft. Less so in the United States, where servers so often move from place to place. A tribute to his roots, Javier has built SER around its good people, and seems truly invested in them. In return, they've helped him create the sense that when we walk through the door, we're walking into the closest thing we get to Spain in America. The menu helps. To the surprise of some, we are sure, SER does not revolve around tapas and the small plate style of dining. The staples are there: Pan Catalana, Croquettas de Jamon y Pollo, slices of Manchego cheese, and a personal favorite, Gambas (shrimp). A salad promises to bring you "the most beautiful things we found at the market today". Various fish make appearances on the specials menu (we recently tried a delicious preparation of blue fish), and paella is always on offer. We have to admit a weakness for the cheeseburger, prepared with Spanish flare, topped with Mahon cheese and bravas sauce. SER reserves special passion for its beverages. As Javier roams the tables in his trademark jeans, blazer, and chucks, personally thanking every guest for coming, he stops from time to time to make real talk about the wines with anyone whose interested. You get the sense that everyone who works here is truly grateful that you chose to spend your evening with them. 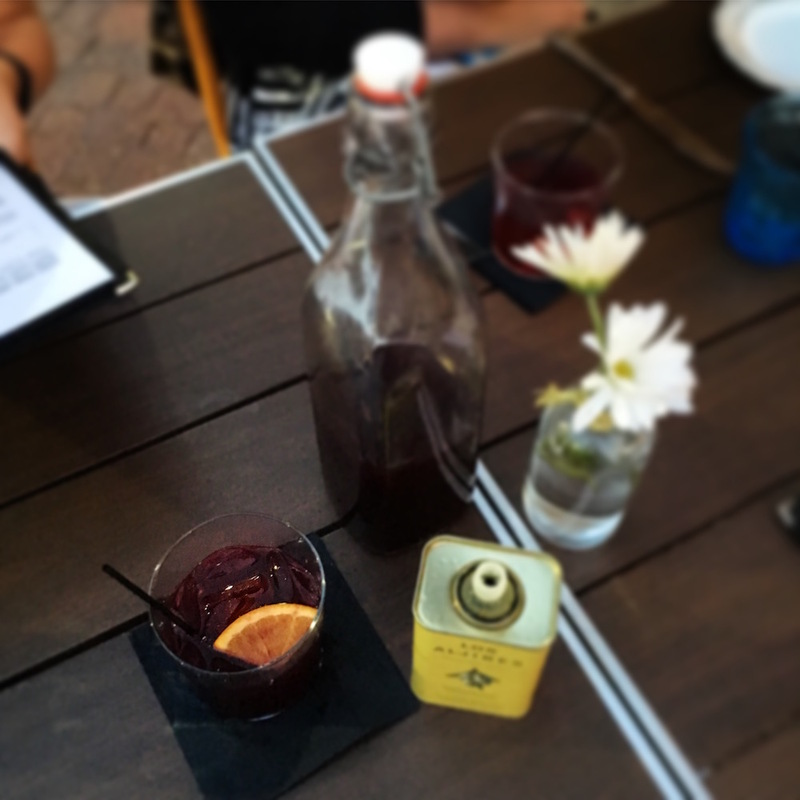 The wine list is robust, but we rarely touch it, for the sangria is just too good. Happy hour until seven each evening is a real deal (try the chicken skewers if you make it in time). Homemade red, white, and sparkling sangria is done properly: poured over ice in the glass rather than diluted with ice in the bottle. And for dessert, one of several liqueurs flavored in house and aged in glass containers high above the bar. The brandies aged with peach and cinnamon and also with peach black tea have been phenomenal. Meghan loves the limoncello. The gin and tonic is the best we've had.